Whatever the current trends in facial hair, it’s essential to remember that different face shapes call for different beard styles. 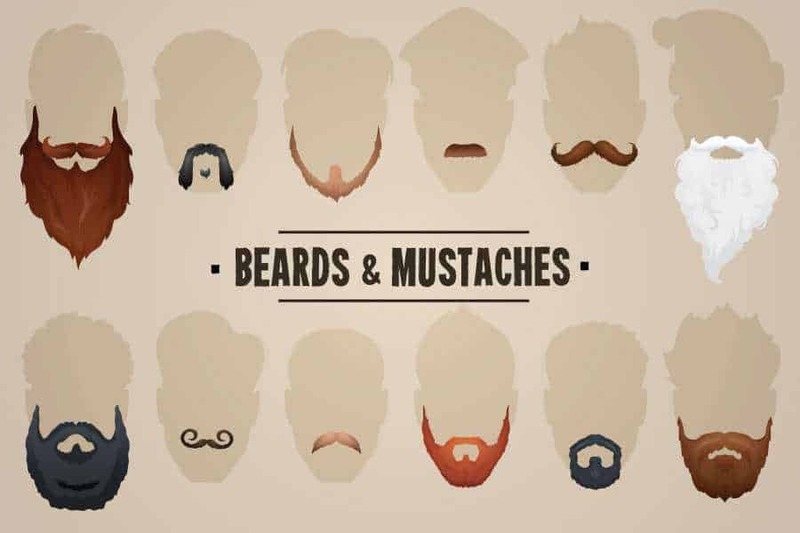 By understanding what your face shape is, you can get your ‘optimal beard’ design. When it comes to facial hairstyles, you beard and jaw should work together to a graduating, oval shape to your beard. Forehead – measure from the peak of one eyebrow to the peak of the other on the opposite arch. Cheekbones – stretch the tape measure across the upper cheeks, starting and ending that the sharp ‘bump’ below the outer corner of each eye. Jawline – measure from the tip of your chin to the point below your war where the jaw angles upwards. When you have this measurement, double it. Length – measure from the centre of your hairline down to the tip of your chin. – A Round Face will have the same measurement for cheekbones and face length. These two measurements will also be larger than those of the forehead and jawline, which again will both have similar measurement. The angle of your jaw will also be soft. The type of facial hair that works: Grow a beard longer on the bottom, shorter on the sides. – You have a Square Face if all the measurements are similar with a sharp angle for the jaw. The type of facial hair that works: Keep beard hair fuller on the chin, shorter on the sides. An Oblong Face has a length measurement that is the largest, with the remaining measurements all being similar. The type of facial hair that works: Keep the sides fuller, and the bottom of the beard shorter. – A Diamond Face also has the largest face length measurement but the other measurements – cheekbones, forehead and jawline –are in descending order. The chin is pointed. The type of facial hair that works: A full beard that covers the chin well. – A Triangular Face has a large jawline, small cheekbones and the smallest measurement is the forehead. The face can be any length. The type of facial hair that works: Balance the narrow forehead and broad jawline with a full beard, trimmed to slim the face and square the jaw. – An Oval Face has a length that is larger than the width of the cheekbones, and a forehead that is larger than the jawline. The jaw has a rounded angle. The type of facial hair that works: Oval faces are a middle ground between all the other shapes, with most styles working well. If you’re considering a beard transplant to get the type of beard you’ve always wanted, then here at The Wimpole Clinic, we can help. From the initial consultation, through surgery and beyond, we offer a bespoke service tailored to your needs; whatever style of beard you want to achieve.